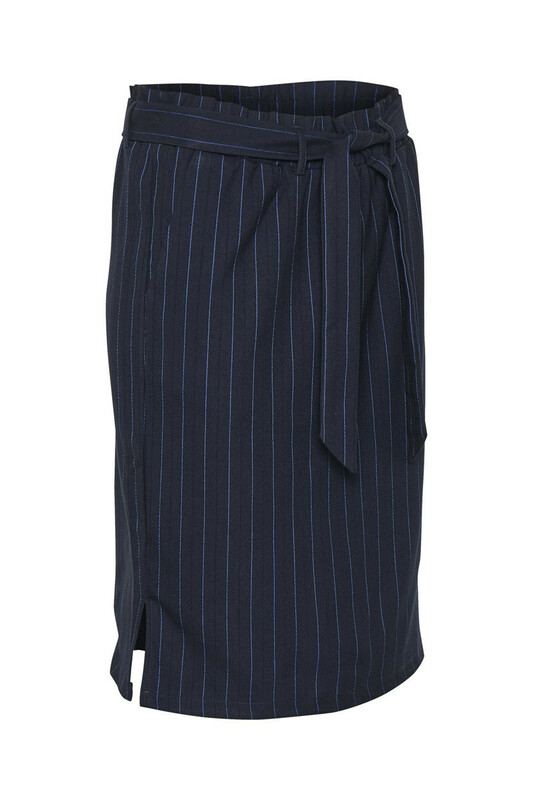 Beautiful and a classic skirt from KAFFE. 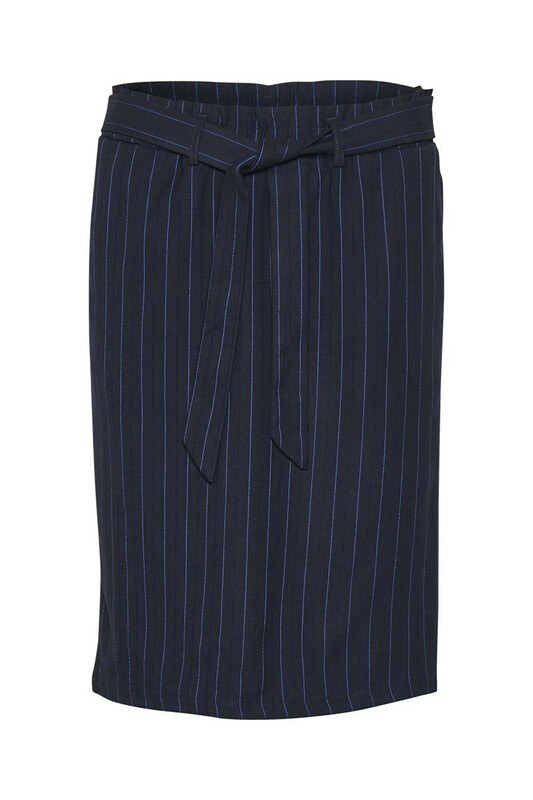 The skirt has a regular fit, belt loops, tie belt and an elastic waistband with fine ruffles. 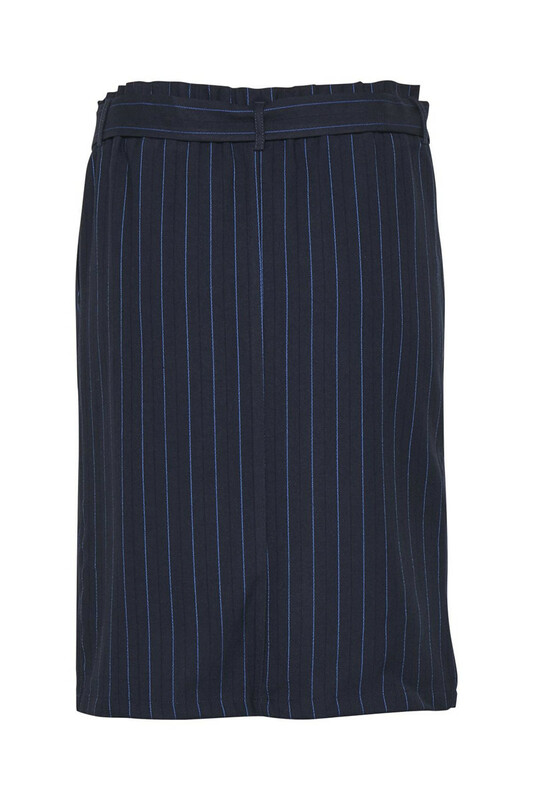 The skirt has this fine pinstriped look, side pockets and a length just above the knee. It's a really comfortable to wear and can be styled for both everyday use and festive purposes. It's easy to style with a T-shirt for an everyday look and a silk top for a party outfit. Match it with KApuk Blazer for a completely fashionable outfit.